Security personnel were conducting random frisking of vehicles when the two motorcycle-borne terrorists reached the spot. Jammu: Security forces arrested two terrorists at a checkpoint in Jammu and Kashmir's Rajouri district today, police said. 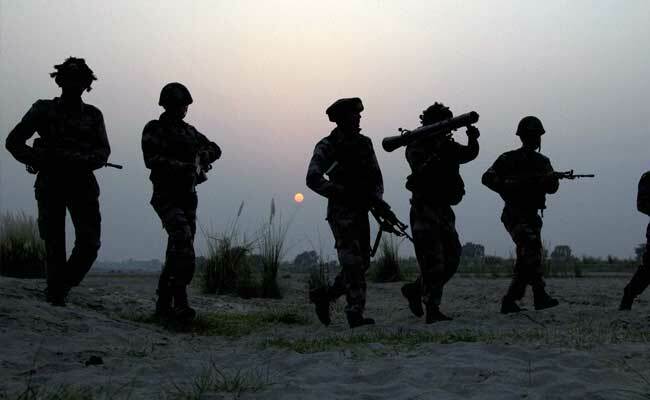 A joint check-post of Rajouri Police, 72 battalion of CRPF and Army (38 RR) was set up on Rajouri-DKG road in the early hours after weapons and ammunition were stolen by some terrorists from a police barrack during the night, SSP, Rajouri, Yougal Manhas said. Security personnel were conducting random frisking of vehicles when the two motorcycle-borne terrorists reached the spot and were signalled to stop, the SSP said. However, police, Army and CRPF personnel overpowered the two. The arrested terrorists have been identified as 22-year-old Mukhtar Ahmed and 22-year-old Aijaz Ahmed Paaray of Shopian district, the SSP said. Both are involved in terrorism-related cases of Police Station Zainapura in Shopian district, he said. An Insas rifle with three magazines and 49 live cartridges along with two empty fired cartridges were recovered from their possession, he said. During initial interrogation, both the arrested terrorists said they stole weapons and magazines from the police barrack, officer said.